For nearly 20 years, interest.co.nz has been offering independent news, data and commentary to our readers. Today, we have launched a crowdfunding campaign so that you can support our future. 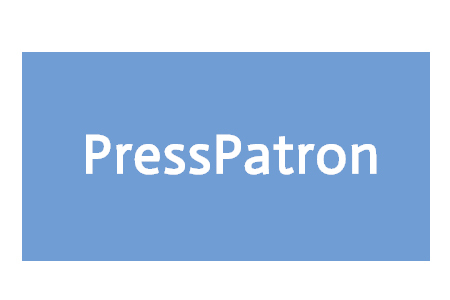 Readers will notice a new feature on this service today, a banner and button asking you to “Become a Supporter.” We recently partnered with PressPatron, a crowdfunding platform that makes it easy to support quality journalism. If you would like to directly support us, simply click one of the buttons to make a one-time or monthly contribution of your choice. You can also click here to visit our campaign page directly. As many of you will be aware, the media world is changing dramatically. For many years, we have funded our website through a combination of advertising, subscriptions to our industry newsletter, and fees for our data and research insights. Ad revenue, however, has been coming under increasing pressure. Globally, Facebook and Google are now capturing 85% of all new digital advertising revenue (source). Locally, the type of investigations conducted by our journalists don’t always endear us to certain advertisers. We have always chosen our readers’ interests over those of advertisers. However, the consequence is that some advertisers won't place ads on our site due to a risk-averse approach to ‘brand safety.’ By becoming a supporter of our site, you can boost our financial independence and strengthen our mission to serve you. Equally threatening to our ongoing sustainability has been the increased use of adblockers. While we understand their appeal to readers, we are faced with the reality that adblockers result in lost revenue that supports our team of journalists. If you are using an adblocker, that’s ok. We simply ask that you consider a small contribution to recognise the impact on our reporting resources. Almost all of our news and data is free for readers to access, and we want to keep it that way. Many other publishers in our situation have put up a paywall, creating barriers around their content. Thankfully, PressPatron’s voluntary contribution model allows us to tap into the generosity of readers like you without locking up our content. If you value what you gain from interest.co.nz, please become a supporter today. With your support, we are confident that our team can continue to produce the journalism you know and trust – while also expanding our coverage. We’re looking forward to this change, one that should take us even closer to our readers; thanks for joining us! PS: in more technical terms: I'm using Privacy Badger, and you need to enable full access to dashboard.presspatron.com. who are the idiots that pay for the advertising that gets blocked but still charged by google etc? You aren't necessarily paying to run an actual banner ad. Check out the results on Google, quite a few will be prefixed with "Ad"
That's not how it works. The advertisers are charged by eyeballs (impressions) and clicks. With any decent adblocker your device won't even download the advert and no transaction takes place. This is also another reason for adblockers - they speed up bloated pages and if you're mobile they'll save your battery juice and data allowance. I'm glad you are not putting it behind a paywall, the act of even having to login to read is a big pain, I never pay for content on news sites as it generaly available on another site, however I come to interest.co.nz becuase it's content is unique and not available elsewhere and would hate to see it go, I'll flick ya a GOLD coin donation every month! Everyone loves gold. It’s a shame you can’t put a tax on certain terms like ‘housing ladder’, ‘CoL’ and ‘DGZ’ or ‘CV’. The world would be a better place if there was a price for writing such things. That was a joke btw. I hope people who enjoy using the site contribute to support it. Happy to support the quality content you and the team provide David - and I'm sure many others will be too. This is likely a tough move to make - but I think it's the right one. I very much appreciate that you haven't resorted to the tactics other news sites have - such as paywalls or similar - as I've stated previously the content here is great (and contribution worthy) but the commentary and discussion (even from the amusing trolls) is of value too. I've also turned off my ad-blocker - because I appreciate that your site hasn't been bleating at me to do so. If you keep the content coming, I'll keep contributing - and chipping in whatever meagre avertising revenue you get from my browser. I hope that Interest is able to raise suitable funds to ensure its viability. It would be a shame to lose such a unique site. I'd pay a monthly or weekly fee if there would be less contents on housing and more content on issues relevant to NZ's future, such as education, research and innovation, good governance, trade and geopolitical, international relationship etc. David, what happened to your China top 10 series (I cannot remember the exact name)? Nah, seriously now, interest.co.nz staff, you're doing a fine job. Keep doing just what your doing! You preference is not consistent with the evidence. The number of comments (often in excess of 250) on articles related to housing indicates that there is considerable interest in housing by interest.co readers. However, I appreciate your sentiment. The past decade has seen homeowners' wealth increase considerably and we all take considerable interest when things are going well. With the likelihood of at best flat prices - especially in Auckland - for the medium term it will be interesting to note if this level of interest wanes. Like you I hope Interest.co continues to cover a broad range of topics of interest to average Kiiws; their article exposing YOUI sales techniques have been particularly valuable. Yes, remarkable how little exposure that YOUI debacle got outside of this site. More than happy to contribute as I value interest.co highly as a source of excellent and timely information. Keep up the great work including the investigative reporting. Well said MikeM. Int.co's quality and editorial integrity results in one of the liveliest yet civilised debate platforms around. With a few personality based exceptions I rarely click on MSM finance and business stories, so superficial most have become. I'm happy to chuck in a few bucks every month. I've always had my ad-blocker off to help interest.co and I've also chipped in. Interest.co is one of the more impartial sites and I hope it stays around. There have been many, even social sites like Disqus are an option. The question being what does a business need a social network for: to allow the audience to communicate and stay on top of updates or reach a new market pool in a specific walled garden. Sure you are unlikely to see Facebook marketed as fashionable on a user level but the company often buys competitors (with their users), and they offer a specific group of users to sell to (more around the "middle-age" classification now). Hence Microsoft's acquisition of more business driven social tools, Alphabets shark like acquisition of many smaller fish etc. Facebook's product is the user base to sell to companies, not necessarily the ability to allow an existing audience to communicate (as a business would then be giving their user market & data to Facebook on a platter). Also Facebook makes it much easier to attack other users through false positive alerts... you can easily bring down a few user accounts, sometimes just temporarily, sometimes permanently. But still it is a platform that has been known for poor and fragmented user communication (through buggy apps) and social attacks. Some businesses find they need to spend more time wrangling on Facebook then their own site and audience which means Facebook gets the ad & click revenue instead of the business and site. So really as a driver of traffic to other sites & user communication Facebook may be a poorer tool. I can't find the banner on your homepage. The banner may not be obvious because it appears as a black band at the top of the page outside of the web page. I actually missed seeing at first when I was searching for it. It wouldn't be a bad idea to have a blue button as well. I think you do fine work here, I have contributed. Serious question. If a subscription is tax deductible, is a voluntary crowd funding donation also deductible? Michael Pettis is always a great read. I don't often comment, but I read this site almost every day. The articles on here, and the debates, are one of the only remaining institutions in nz that gives me hope we haven't completely entered the age of idiocracy. Payment set up. Chur. The signup tool does allow for 'anonymous' - we've had a few today already.